Of the roughly 200 pending free agents, 12 are getting more attention than the rest. The quarterbacks. Mike Reilly, Bo Levi Mitchell and Trevor Harris are set to become free agents on Tuesday at noon ET, when several of the league’s biggest stars will be free to find a new CFL home. The quarterback carousel will be fascinating, but the question marks heading into free agency go so much further. Here are my 21 questions for free agency and the off-season. 1. Where will Mike Reilly sign? The one question on everyone’s mind. Yes, the free agent discussion starts and ends with Mike Reilly, and after being granted permission to speak to the BC Lions ahead of the Tuesday’s deadline, it’s looking more and more like a two-horse race between the Lions and Eskimos. While Esks GM Brock Sunderland has said he won’t be outbid, the Lions can offer Reilly other perks that money can’t buy, including proximity to home and a working relationship with General Manager Ed Hervey. There’s a lot at stake here. Reilly has franchise-altering ability and may be the most-hyped free agent the CFL has ever seen. He’s won an MOP and a Grey Cup and been the face of the Eskimos franchise since 2013. The Lions, meanwhile, have equipped themselves for a major overhaul this off-season, and are widely expected to be the busiest team in free agency. 2. What’s ‘Plan B’ for Ed Hervey? Any doubt that the Lions were all-in on Mike Reilly has been erased after the two sides were granted permission to speak before Tuesday’s free agent deadline. So what if Ed Hervey strikes out? We know things have soured between the Lions and Jonathon Jennings, while Travis Lulay isn’t likely viewed as a long-term answer. Ricky Lloyd probably needs more seasoning. What’s Hervey’s backup plan? Bo Levi Mitchell and Trevor Harris will be in high demand, while Kevin Glenn and Zach Collaros are potential stop-gap, short-term options much like Lulay. Perhaps Hervey could target Argos quarterback James Franklin in a trade, who Hervey is familiar with from his time in Edmonton. Franklin hasn’t been guaranteed the starting job in Toronto but there’s no certainty Jim Popp would be willing to trade him. 3. What’s the most appealing situation for a free agent QB? Realistically, seven of nine teams in the CFL could go big-game hunting at quarterback next week. The question is, if you’re an elite CFL quarterback about to test the market, which situation is most appealing? The Lions have a young, energetic coach in DeVone Claybrooks, a ton of wiggle room to make moves and an indoor stadium nine games of the year. In Edmonton, Jason Maas’ resume speaks for himself, leading one of the CFL’s most dynamic offences year after year. The Stamps’ success under Dave Dickenson has been unparalleled since his hiring in Calgary. And in Saskatchewan you have a brand new stadium with state-of-the-art facilities, a top-tier defence and a renowned football town. In the East, the Argos could make a strong push to acquire a potential franchise player like Bo Levi Mitchell or Mike Reilly. But if I’m a pending free agent, it’s hard not to consider Ottawa. The REDBLACKS’ franchise has been nothing but successful since returning to the league. The fan base is passionate. Noel Thorpe’s defence is really good. And one other factor, the East Division could provide an easier path to the Grey Cup year in and year out. There’s a lot for these quarterbacks to ponder — outside of just money — when it comes to free agency this week. EPISODE OVERVIEW: With a potentially crazy free agency period kicking off next week, we invite Milt Stegall to join us as we go through each of the West Division teams to discuss who’s staying, who’s going and who’s due for a big pay day. 4. Which QB would be the bigger prize: Bo Levi Mitchell or Mike Reilly? Mike Reilly and Bo Levi Mitchell are 1-A and 1-B on the pending free agent list, with Reilly getting the nod in the CFL.ca top 30 free agents list. But while the dual-threat Reilly has thrown for nearly 17,000 yards the last three seasons and combined for 40-plus touchdowns in back-to-back seasons, Mitchell is five years younger and is the CFL’s all-time winning percentage leader among quarterbacks. For Mitchell, things could get complicated as he takes his time considering NFL options. Either way, both of these quarterbacks have Hall of Fame credentials through this point in their careers. 5. Wait, Bo Levi Mitchell could actually leave the Stamps? What we didn’t think was possible could just happen. It was assumed all along that Mitchell would either go to the NFL or stay in Calgary, but on Thursday multiple reports surfaced that the Stampeders’ quarterback could test the waters not just south of the border but in the CFL as well. Is this merely a savvy business decision and potential bargaining chip with the Stamps, or will Mitchell seriously consider all offers that come his way? 5-B. If not Calgary, what’s the best fit for Bo Levi Mitchell? It’s hard to envision Mitchell anywhere other than Calgary, but what other team would be the best fit for the Katy, Texas native? Saskatchewan immediately comes to mind, as Bo would be allowed to stay out West while football-mad Regina surely appeals to a player who breathes and sleeps the sport. 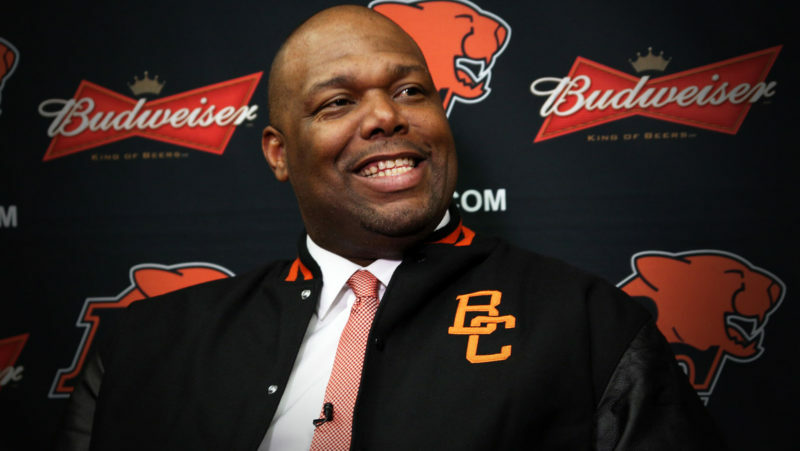 BC might also be a good fit as Mitchell has gotten to know Lions head coach DeVone Claybrooks during their time in Calgary. 5-C. Would Bo have the same success elsewhere? It’s the chicken or the egg question. Has Mitchell elevated the Stamps or is it the other way around? Why can’t it be both? 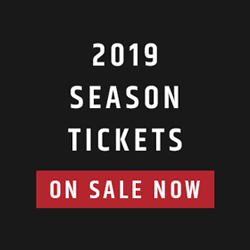 At 28, Mitchell has been one of the most successful quarterbacks in CFL history in his time with the Stamps, winning two Grey Cups, two Grey Cup MVPs and two Most Outstanding Players. He’s played in the Grey Cup and won the West Division in five of his first seven years in the league and become the face of the CFL since his early 20s. Still, it’s a question worth asking. It would interesting to see how Mitchell would fare without Dave Dickenson and the Stamps’ organizational success — and vice versa. 5-D. How do the Stamps approach their QB situation? A four-part question! General Manager John Hufnagel’s off-season will become an even greater challenge if Bo Levi Mitchell takes his time weighing options. The Stamps wanted to know Mitchell’s plans before Feb. 12, but things may not go down that way. So how do the Stampeders approach free agency and, in particular, the quarterback situation? If Bo heads elsewhere, the Stamps are reluctant to rush Nick Arbuckle, meaning they’ll pursue someone outside of the organization with at least some CFL experience. Jonathon Jennings, Kevin Glenn, Zach Collaros and Travis Lulay are all proven options with varying degrees of upside — just don’t expect it to be Drew Willy, at least if Josh Bell has any input. 6. 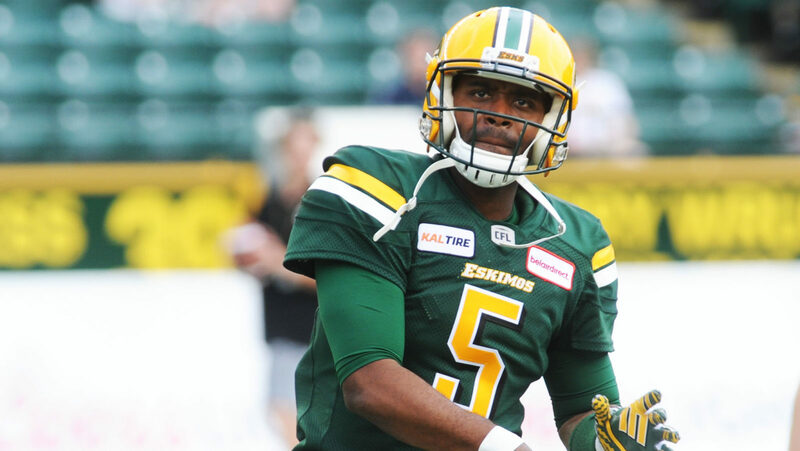 Speaking of Canadian QBs, what’s next for Brandon Bridge? The topic of The Great Debate last month, Riders quarterback Brandon Bridge has reached what seems like a critical juncture in his career as the 26-year-old looks to pursue a job as a starting pivot. Last season Bridge started four regular season games but failed to take advantage, especially in his first career playoff start against Winnipeg. Despite his nationality, Bridge is not one of the big names on the quarterback carousel, but he could carry value this off-season as several teams across the league have yet to establish their quarterback situation. Does the Mississauga, Ont. native belong in the starting quarterback conversation? 7. What can we expect from the Bombers? After signing many of their pending free agents, the Bombers could be one of the least busiest teams when players hit the open market on Tuesday. General Manager Kyle Walters has built an already-solid foundation in Winnipeg, and is now down to adding the finishing touches on a roster that’s ready to compete for a Grey Cup. What remains on Walters’ to-do list? While Taylor Loffler, Jovan Santos-Knox and Sukh Chungh are all at risk of leaving, another need for the Blue and Gold is at receiver. Paul LaPolice could use a complement for one of the league’s most explosive receivers in Darvin Adams, something the offence have lacked for a while now. With Weston Dressler pending free agency, look for Walters to target a proven pass-catcher who can stretch the field. 7-B. Are the Bombers the early favourite to win the West? A lot will change the next few weeks, but are the Bombers the favourite to win the West on paper? A lot of people seem to think so. The Lions, Eskimos, Riders and Stamps all face a lack of clarity at football’s most important position, while all of those teams have incurred key losses either to the NFL or pending free agency. The window of opportunity is wide open in the Manitoba capital. 8. Who will be the busiest team in free agency? The next week will be fascinating. With a mostly-untouched list of pending free agents, the Lions come to mind immediately as a team with the most flexibility to spend big money on the open market. General Manager Ed Hervey has been linked to a number of players, from local product Taylor Loffler to former Eskimos battery mates Mike Reilly and Derel Walker. Another team that could make an impact is Edmonton. The Eskimos have some holes at receiver and O-line, while the potential departure of Mike Reilly would create plenty of cap space for Brock Sunderland to work with. Calgary and Toronto could be the other big players in free agency as the Stamps face key losses from their Grey Cup core while the Argos look to shake things up after a forgettable four-win season. EPISODE OVERVIEW: Who will be major players in the East Division? Who’s on the move? We’ve got Milt Stegall to talk about all of it with us as we get you primed for CFL free agency! 8-B. Who will be the quietest? After last year’s spending spree, Als GM Kavis Reed will likely be much quieter in the coming week. The Alouettes have brought back most of their own free agents and will try to capitalize on the continuity established last season, especially on the heels of a 4-5 finish. The Bombers and REDBLACKS could also be among the least active teams in free agency, as both clubs have been diligent in bringing back their own free agents and sewing up any major holes, save for the quarterback position in Ottawa. 9. Is Willie Jefferson NFL-bound? Will Chris Jones’ departure impact Willie Jefferson‘s approach to free agency? Jefferson returning to the Riders appeared to be a foregone conclusion just over a month ago, but Jones’ absence could open up other doors on this side of the border for one of the league’s most dominant players. That is, of course, if Jefferson doesn’t find an NFL job. Should Jefferson stay in Canada, teams would be lined up out the door, though Hamilton, Toronto and Montreal are three teams that could use a dominant pass-rusher the most. 10. Who is the bigger prize: Jefferson, Delvin Breaux, or Micah Johnson? They’re the three best players in the the CFL at their respective positions, making up the top non-quarterbacks on the pending free agent list. Their value will be most dictated by need, but all of them are special players with the type of talent that can put a defence right over the top. Willie Jefferson is a physical anomaly, with the ability to completely overpower any tackle in the league one play while dropping into coverage the next (remember those two pick-sixes last season?). Micah Johnson is a consistent threat for double-digit sacks, last year putting up a career-high 14 — almost unheard of for a defensive tackle. And finally, Delvin Breaux is a dominant shutdown corner who can be left on an island against the top boundary receivers in the CFL. 11. Is Ricky Ray going to retire? Almost lost in the all the quarterback discussion is one of the greatest of all-time, four-time Grey Cup Champion Ricky Ray. Recovery has reportedly gone well for Ray after suffering a season-ending neck injury in Week 2 last year, but the 39-year-old has yet to decide on his football future. Should Ray receive medical clearance to play in 2019, and the burning desire remains, it’ll add another big name to the free agent quarterback carousel. 11-B. Could Ray finish his career in Edmonton? As the Argos look to the future in James Franklin and McLeod Bethel-Thompson, could Ray, if physically cleared, return to the place his career first began? Edmonton would be the perfect landing spot for Ray, whose career would come full circle alongside former teammate and now-Esks head coach Jason Maas. In Edmonton, Ray could be a stop-gap starter in case Reilly leaves, or he could be a reliable backup in the event a starter gets hurt. Either way, a return to Edmonton would allow an easy transition to the team’s coaching staff in 2020 under Maas. 12. Will the Esks be OK at receiver? The Eskimos overcame the loss of league-leading receiver Brandon Zylstra last year after he departed to the NFL. Now, after losing Duke Williams, Bryant Mitchell and potentially Derel Walker, can the Eskimos find enough talent at the receiver position? Recently-signed Kenny Shaw and returning veteran Kevin Elliott are proven starters with upside that come at the right price, while Miles Shuler has been waiting in the wings and absorbing the CFL game. Bryce Bobo and Tyler Batson were brought in this off-season as talented young prospects who could also be pressed into action quickly. Despite the Esks’ proven eye for talent at the receiver position, we’re not seeing the big-name pass-catchers we’re accustomed to in Edmonton, and there’s likely to be an adjustment period no matter who’s throwing the football in 2019. 13. What’s Brock Sunderland’s plan if Reilly leaves Edmonton? With Mike Reilly considering leaving Edmonton, what’s Brock Sunderland’s backup plan? I do think Jason Maas is the right coach to have in this situation, as the former quarterback and offensive coordinator is one of the brightest minds in the league when it comes to the pivots. One would assume Trevor Harris will be on speed dial for the Eskimos, especially considering Maas’ past relationship with Harris both in Ottawa and Toronto. Jonathon Jennings, Kevin Glenn and Zach Collaros are other available quarterbacks. The closer Harris gets to free agency, the more I think he’d be a good fit for the Eskimos in the event Reilly goes elsewhere. 14. Is Kevin Glenn a feasible stop-gap for a team in need of a starter? We keep hearing Kevin Glenn‘s name, but after not taking a single snap last season, is the 39-year-old a viable option to be a starting quarterback? Here’s what’s interesting about Glenn: his last season in the league, when he actually played, was one of the best in his career, as he threw for 4,000-plus yards and 25 touchdowns while leading the Riders to within one game of the Grey Cup. Despite his age, Glenn should be healthy and well-rested after a light workload in 2018, while his experience, leadership and ability could make him an intriguing option for a team in need of a short-term answer at quarterback — especially if the roster is deemed good enough to contend for a Grey Cup. I’ll say this: teams could do much worse than Kevin Glenn as a starting quarterback. 15. What do the Argos need most in free agency? Jim Popp has turned up the heat in the days leading up to free agency, signing three potential starters in Jermaine Gabriel, Alden Darby and Terrance Plummer. Despite what happened last year in a last-place finish, the Argos will field a familiar roster next season, keeping a good number of their pending free agents in-house. While the Argos are expected to pursue one of the three big-name quarterbacks, the biggest need in Toronto might be at receiver. S.J. Green and Armanti Edwards are reliable veterans who can be 1,000-yard receivers in this league, but the Argos need someone that can stretch the field vertically and separate from defenders — an element that was sorely lacking in 2018. I would expect the Argos to make a strong push in free agency for someone like DeVier Posey or DaVaris Daniels. 16. Do the Boatmen still believe in James Franklin? Anyone who’s followed me knows my opinion on James Franklin, who I’ve touted over the last several years as the most promising quarterback prospect in the CFL. The 27-year-old out of Missouri ran into some hard times in 2018, throwing eight touchdowns and nine interceptions while being bounced twice for backup McLeod Bethel-Thompson, but there were positives for Franklin, who showed he can be patient with the football, get through his progressions and improvise with his legs when it’s necessary. A year after acquiring him, has Jim Popp changed his mind on Franklin? Neither Popp nor incoming head coach Corey Chamblin have committed to Franklin being the starter next season, while the team could make an aggressive push to try and land one of the big names in free agency. If the Argos believe in Franklin, they need to be decisive at the position, surround him with talented playmakers and show him confidence as a future starting quarterback. 17. Are any of the Als’ QBs trade targets? For the second year in a row the Alouettes are approaching their quarterback situation by sheer volume, taking five starting candidates into the free agent period. Johnny Manziel, Vernon Adams Jr., Jeff Mathews, Matthew Shiltz and Antonio Pipkin are all vying for an opportunity, while the team remains reluctant to hand the reins to Manziel — at least not without competition. With several teams looking for quarterbacks around the CFL, could the Als be a potential trading partner? Some of these pivots could probably be had for the right price, and all have shown potential at certain points in their CFL careers. 18. Who’s closer to being a playoff team: Toronto or Montreal? Another year, another crossover in the CFL, leaving Toronto and Montreal in the playoff dust last November. While 2018 was a lost cause for the Argos, who failed to defend a memorable Grey Cup Championship the year before, the Als appeared to be trending in the right direction in the end, winning four of their last nine games of the season and establishing young stars like Eugene Lewis and William Stanback. Can Jim Popp recapture some of the magic that took the Argos from worst to first in 2017? Will the Alouettes build on their momentum of late last season? Both teams will embrace the blank sheet that is the CFL off-season and an 0-0 record entering 2019. 19. Could Dominique Davis succeed as a starter? 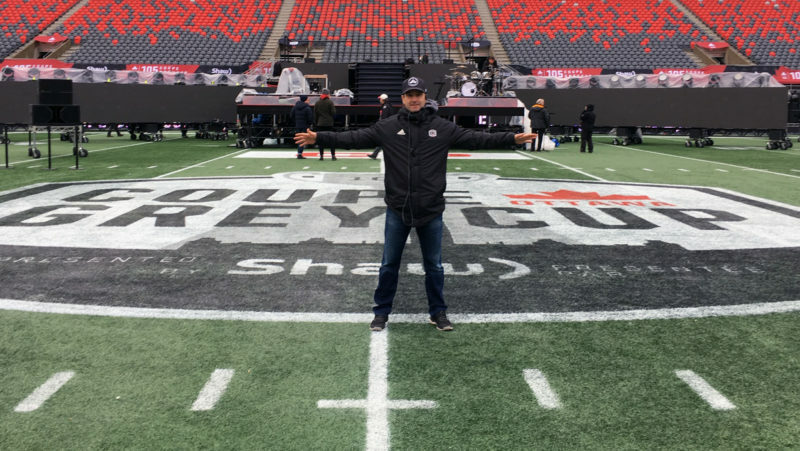 There’s still this feeling that Trevor Harris won’t be anywhere but Ottawa next season, but the fact that he could test free agency is a scary thought for Ottawa REDBLACKS fans. If Harris is offered top dollar on the open market, and GM Marcel Desjardins opts not to match, do the REDBLACKS have their replacement already on the roster? Sure, there are plenty of other options in free agency, but maybe the REDBLACKS know something about Dominique Davis. At age 29, Davis has had four seasons to develop in the CFL, while his legs and arm strength made him an intriguing prospect when he first arrived with the Bombers. In a quarterback-friendly offence belonging to Jaime Elizondo, perhaps the REDBLACKS believe they can get enough production out of Davis to make him a viable option to replace Trevor Harris. 20. Favourite to win the East – Hamilton or Ottawa? The answer to this could come down to free agency, but the East Division’s two best teams in 2018 both have their clearly-defined strengths. The REDBLACKS’ defence has become one of the best in the CFL under Noel Thorpe, and should be better with another year to get comfortable in his system. The addition of Chris Randle could put the REDBLACKS’ defence over the top, making them one of the scariest units in the CFL in 2019. While defence is Ottawa’s strength and there are questions at quarterback, the inverse is true in Hamilton. 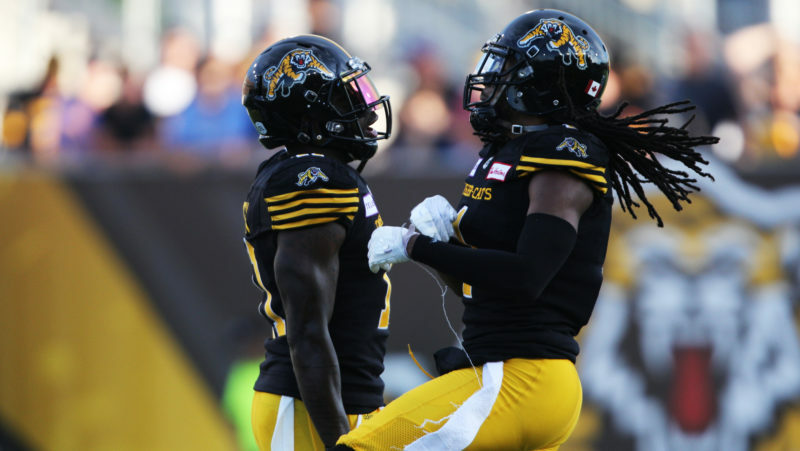 The Ticats had one of the top-ranked defences in the CFL last season but faltered late under Jerry Glanville, while the lack of a dominant pass rush was exposed in the playoffs against Trevor Harris. But while Orlondo Steinauer and Mark Washington will go to work on the Ticats’ defence, there’s no doubting the strength in the Hammer is the offence. The Ticats had the CFL’s most productive offence in 2018, led by East Division Most Outstanding Player and breakout star Jeremiah Masoli. With the Argos and Alouettes still finding themselves, these are the two best teams in the East right now, and the power struggle could continue right through the off-season. 21. What’s next for Duron Carter? A year ago at this time Duron Carter was one of the top-rated pending free agents. He opted to return to Saskatchewan, where he spent part of the season playing defensive back before being released before Labour Day. It’s been a wild ride for Carter, but at 27 years old, it could just be getting started. There’s no doubting the talent. The question is which team is a fit for the 6-foot-5, 205-pound pass-catcher? Maybe Carter didn’t get the right opportunity under Marc Trestman in Toronto, but that’s no longer an issue. Jim Popp, meanwhile, has expressed an interest in having Carter back, making the Argos the most reasonable destination. Wherever he ends up, Carter’s free agency could fly under the radar in such a talented crop, but he shouldn’t be dismissed.